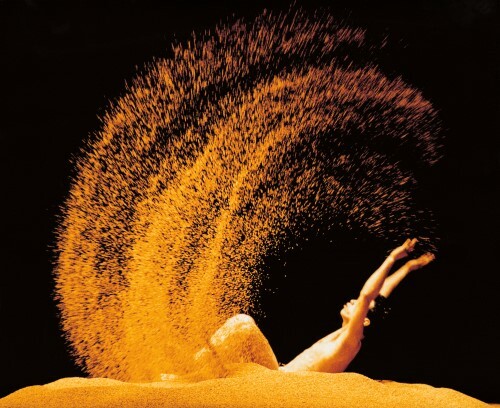 Cloud Gate Dance Theatre of Taiwan is an outstanding company that creates visually stunning productions bringing ballet and contemporary dance from the West together with Eastern art-forms such as Chinese dance, Taiwanese indigenous dance and Peking opera movements. Could Gate are presenting FORMOSA at London’s Sadler’s Wells on 9-12 May. Dancer HUANG Li-chieh gives us an insight into this extraordinary dance company, the unique dance training in Taiwan and how he prepares for his role. When I was 8, I asked my mom if I could take some extracurricular classes. There were then one Taekwondo studio and one dance studio around where we lived, so my mom wanted me to choose one between them. With no second thought, I chose dancing. I still don’t know what drove me to make that decision, but I’ve never regretted a second in my life for it. Q: How would you describe the dance training in Taiwan? Taiwan is a multi-cultural society, which deeply affects the dance training system here. Most dancers in Taiwan need to receive not only training from Western contemporary dance and ballet, but also skills from traditional Chinese dance, Taiwanese indigenous dance and Peking opera movements. With such solid foundation of training, Taiwanese dancers can flexibly adapt themselves to various kinds of choreographic movements and styles. Q: When did you know that you wanted to be a professional dancer? There is no such a “magic moment” that triggered me, but a process of trial and error that confirmed my path to be a professional dancer. If I really have to pinpoint one moment, I would say it was from the time when I entered Taipei National University of the Arts, aka TNUA. Each student at the dance department of TNUA has to receive both practical and academic trainings within 7 consecutive years. Besides dance classes, the department also offers classes such as choreography, dance education and theory to broaden our views about dance. As soon as I entered TNUA, I realised that I had little talent for choreography, but had the great passion for performing. With that in mind, I grasped every single opportunity at school to showcase myself on stage. Gradually I gained more and more confidence and made up my mind that I would someday become a professional dancer. Q: You have a masters in Afro-Brazilian martial arts, Capoeira, and Japanese Kendo techniques. How does your body respond to these different types of movement? Capoeira and Kendo techniques are both important elements that help shape who I am now. To me, Kendo is an art of humility. You shall always take bow upon entering and leaving the combat space called “dōjō”, and after the training, you shall meditate and calm yourself down. I learn from it that you can only conquer your rivals while humbling yourself first. The “internal martial arts” class I’ve been learning at Cloud Gate is like having these two concepts combined. It demands not only your outer focused energy, but also your inner relaxed peace. I think I have to. I have to dance to express myself. To me, it’s the most direct and honest way. Yet the more you learn it, the more it becomes limitless and infinite. You never know what and how your body would grow/develop/transform/evolve along the way. All these hold an allure. Maybe I love dancing because it is a non-stop journey of self- inquiry. Q: What inspired you to join Cloud Gate? The first piece from Cloud Gate that I watched is Pine Smoke. As the second part of Cloud Gate’s Cursive Trilogy, this piece celebrates the elegance of calligraphy and the power of emptiness. Each movement is initiated by breathing. Perhaps because I learned Chinese traditional dance since my childhood, the unique body language in this piece immediately evoked this memory and deeply captivated me. Then, I knew – I want to join Cloud Gate. Coincidentally and very luckily, the first piece I learned and performed at Cloud Gate was also Pine Smoke! Q: How do you prepare for your performances? I always have a quick nap or rest with my eyes closed, even if it’s only 10 minutes. This helps me calm myself down and reduce my fatigue. Then I start to meditate to sense the flow of my body energy. Through practicing breathing, I feel my weight while my energy is focused. It’s like in architecture: the higher the building is, the deeper a foundation is needed. This is how I switch to the “perform mode” before getting on stage. I also enjoy having high fives with other dancers before performances – whether I dance in solos or in groups. I believe such gestures brings encouragement to one another, giving us a team spirit. Q: Describe a typical day with Cloud Gate? Our first class starts at 10 in the morning, but we come to the studio at 9:30 to warm up. These morning classes are very diverse, including ballet, contemporary dance, Qi Gong and Internal martial arts. So usually after class, we have to take a short break and get into the state of mind the rehearsal requests for each production. We practice in small groups led by rehearsal assistants or senior dancers. Then we have a one-hour lunch break. In the afternoon, we continue rehearsing until 5 o’clock. Before leaving the studio, we get into pairs and massage each other. Q: What do you feel makes Cloud Gate company special – they’re one of my favourite companies? Thank you. I and delighted to hear that you hold Cloud Gate in such high regard. I think Cloud Gate has successfully found a unique way of integrating training from the East (internal martial arts and Qi Gong) and the West (ballet and contemporary dance). This not only changes the shape of the dancers’ movements, but also their kinetic qualities. Each dancer learns to find ways that best suit and exhibit his/her unique individual temperament. Mr Lin Hwai-min, our founder and artistic director, is the leading figure to envision such a unique aesthetic. And this is what has made Cloud Gate forge its own way over more than four decades. Q: You’re coming to London, what are you looking forward to the most? We performed Songs of the Wanderers in London in 2016. The experience of performing at the Sadler’s Wells was remarkable and I hope London audience will also enjoy our recent production FORMOSA. I also hope we would have some time to visit the British Museum and the National Gallery, and perhaps watch some musicals, especially my favorite “Les Misérables”. 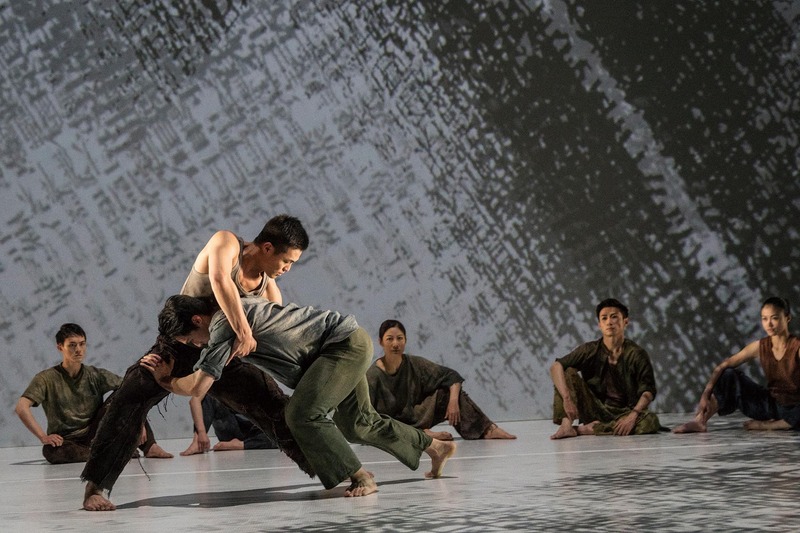 Q: Tell us about your role in the UK premiere of Formosa at Sadler’s Wells…. My major role comes towards the end of the piece. I am a catalyst, bringing about disruption. To interpret this role, I have to keep complete inner focus and utilise all my energy in my movement. Certainly, I hope to enhance my dance skills and also to keep developing my hobbies, like Capoeira, Kendo or even rap. I would like to experience more things to enrich my life, because I believe this will introduce more diversity and possibilities to my dancing career.